Tulsa Roots Music celebrates 5 years of free music programming with a free party featuring the Paul Benjaman Band, a beer and wine bar, and gourmet pizza service by Bohemian Wood Fired Pizza. Tulsa is a finalist in a national competition for $25,000 to expand our free music programming on Guthrie Green in 2018. So please VOTE FOR TULSA TO BE A TOP-15 LIVE MUSIC CITY! VOTE HERE. 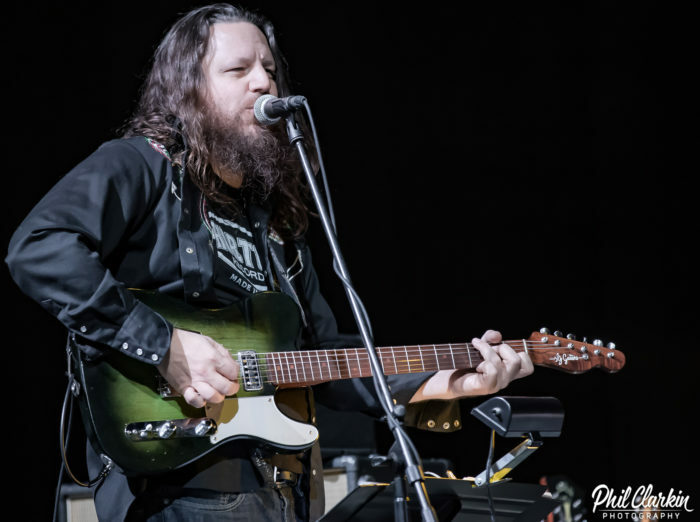 Building on the classic groove-based Tulsa Sound, the Paul Benjaman Band embraces rock, funk, country and blues. Since its debut release, the band has toured relentlessly throughout the Midwest, Rocky Mountain, and Southwest regions showcasing Benjaman’s signature guitar licks as the outfit’s focal point and driving force. A festival favorite, the band has played and/or toured with the likes of Jason Isbell, Lucero, Sonny Landreth, Heartless Bastards, Ian Moore, Lucinda Williams, Buffalo Killers, Junior Brown, Jonathan Tyler and The Northern Lights, The Steepwater Band, Greyhounds, Cornmeal, Split Lip Rayfield, and Todd Clouser’s A Love Electric.